Halloween holidays are already outlined for our children. The occasion for them to rest after these first weeks of school. The occasion also to enjoy itself by making many activities ! The Niort Marais poitevin Tourist Office selected for you four ideas to go out among all those proposed during the holidays. Then, what can we do during Halloween holidays ? 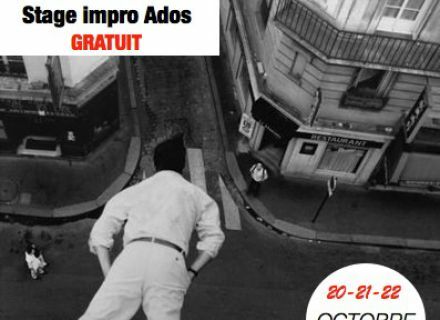 If you feel comedian's soul, we propose you a Training Improvisation Ados (for 14-18 years). October 20-21-22nd, from 10 am till 5 pm, in the centre Duguesclin (Niort), free on booking in 05 49 06 99 26. For those who want to return to the Middle Ages, we propose you Game of donjon, organized in partnership with Media-game library of the CAN and the sociocultural Centre city center of Niort. From October 21st to October 24th. Free on booking (except snack) in 05.49.28.14.28. Oyé, Oyé ! 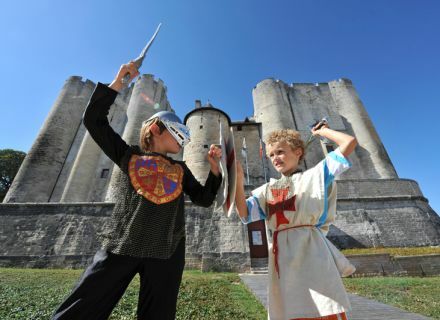 Damoiselles and Gallants, jousters, delivery boys, riders… You are all invited to come to feast in the Donjon. Master Bertrand du Guesclin waits for you there ! For those who like frightening, we suggest you participating to the adventure “Witches, magicians” (from 6 years). 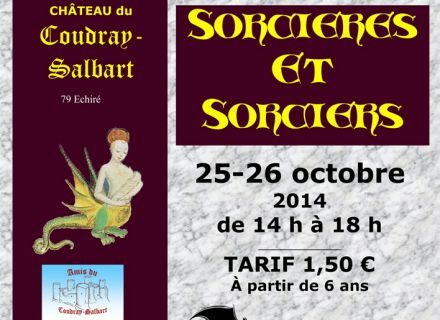 October 25th and 26th, from 2 pm till 5 pm, in the castle of Coudray-Salbart (Echiré), 1,50 € by child, booking in 05 49 25 71 07. For this adventure, the small fairies and the young magicians can come dressed. They can equip themselves on the spot in brooms and the other materials. Then, surprised ! 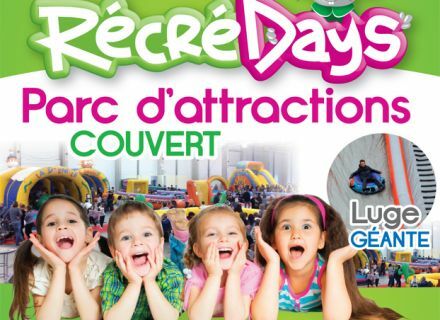 Finally, if you want to let off stream, the leisure park RécréDays makes stage for the park of the exposures in Niort (for 2-6 years, 7-12 years and ados-adults) ! From October 28th till November 01st, from 2 pm till 7 pm, 5 € for the children and 7 € for the adults. Information on www.recredays.com. A leisure park covered and warmed on 3.000 m2. 25 activities : huge sled (30 m. of length), sports routes, soft domes, structures with obstacles, slides, circuit go-carts, trampolines, simulator of rodeo, sports challenges (jousts, shot in the elastic, the huge foosball), spaces out small childhood, wooden games… There will be for all the tastes ! From now on, you’re on your own ! From “Brèche” to “Brisson”, the ... Go to the market, what a good idea !